Amiga Forever - Amiga Emulation: Good or Bad for the Amiga? Amiga Emulation: Good or Bad for the Amiga? This text was first published in 1998, when Cloanto's increasing support for emulation technology was perceived as controversial by some members of the Amiga community. Amiga Emulators have been quietly evolving for some years before the release of Amiga Forever, but it was primarily the domain of more technical users, who had to be equipped with expensive workstations to run a "software Amiga" at a performance comparable to that of existing Amiga hardware. The first version of Amiga Forever was released in 1997, bringing Amiga emulation into the spotlight and making it very easy to install and use. During 1998, the performance of Pentium, Alpha and PowerPC systems, which had been doubling every 18-24 months, reached a level where running 68K Amiga software was possible at the same price/performance ratio of "silicon Amiga" systems. This began on high-end systems, with Alpha-equipped PCs and the UAE emulator running some Amiga software faster (and at a lower cost) than an Amiga 4000/060. As of the year 2000 this benefit has extended to the lower end, so that a software-based 68030 Amiga is less expensive than the silicon one. This is the first time in computing history that a popular platform, in spite of the fact that it has not been improved in years, lives so long that it can be emulated without a price or performance penalty. While this is "magic" for some, it is perceived as a "danger for the Amiga" by others. We understand and respect these concerns, and we would like to take this opportunity to clarify a few facts, and at the same time to invite all parties interested in this matter to a constructive exchange of ideas. 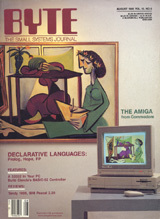 At Cloanto, we live and work with the Amiga since it made the Byte cover story in 1985. Actually, inspired by that article, and in the conviction that the Amiga had the best and most exciting hardware and operating system to write software for, the first Cloanto company was founded. After more than 10 years of intense Amiga experience, in spite of repeated temptations from the PC world, during increasingly difficult Amiga times, and while so many other companies disappeared quietly and without much debate, we were still among the few commercial software developers fully committed to this platform, and investing in new Amiga software. It may sometimes happen that, from a user perspective, it is perceived that for a developer it is easier to switch from one platform to another. This issue was brought to our attention a few times, in the discussions about emulation, in an equation similar to "for developers it is easy to change to the PC... you don't care for what platform you write software for... you don't care about the Amiga and its users". This is one of the reasons that made us want to explain our position, dreams, difficulties and decisions in more detail, because not all the choices we made were as easy as embracing the Amiga in the first place. If it were for the money, and not for the differences which make the Amiga an Amiga, we would have gone to the PC world several years ago. But there are some idealists among us, who believe in things like free spirits and uncompromising technology. Also, developing software is becoming increasingly complex, which makes our collective Amiga experience one of our most precious assets. Changing platform is probably the most difficult thing a software house or a programmer can do. As if this were not enough to bind us to the Amiga, we are not only Amiga developers, but also Amiga users ourselves. So our answer, should there be any doubts, is that we care about the Amiga at least as much as any other Amiga user, and that we have been doing this since the Amiga was announced. If the Amiga situation is difficult for any user, it is even more difficult for those Amiga users like ourselves, who also have to make a living, and find margin for quality and growth, from the Amiga software market. It is also true that our position gives us a somehow "privileged" perspective of computing in general and the Amiga situation in particular, of which we especially estimate the intense interaction with other Amiga users. All of this, we believe, gives us a good feeling of the Amiga situation from all sides. As explained in the Amiga Forever Manifesto, the publication of Amiga Forever is the result of a careful decision, based on the perspective, the needs and the feedback described here. During 1997, Amiga Forever, which brought emulation under the official blessing of various owners of several Amiga intellectual property assets (e.g. patents, etc. ), became one of the main pieces of news in a quite static situation, and as such it probably attracted more attention than it deserved. It surely gave many users a practical opportunity to discuss and express themselves about the poor Amiga situation. A small group of Amiga enthusiasts feels that Amiga emulation is, or will increasingly be, the main cause of the Amiga's problems, including lack of new hardware development, and software piracy. In the following sections, we would like to propose some facts in an attempt to clarify these issues. Everything else, which cannot be described and compared with facts and logic, is a matter of opinion, and we are all free to think what we want, especially since we use an Amiga (silicon or software) by our own free choice. In general, we would also encourage to try and not to to look for a causal relationship between factors which may be related in an associative (and not causal) way. It is sometimes easy, especially when there are problems which do not have an easy target to blame, to confuse causes and effects. It does not always come natural, for somebody who does not need, or has never seen, something, in this case an emulated Amiga, to imagine the surprising effect it has on somebody who sees it for the first time, or to understand how others might need it badly. This may be the case, for example, because at work some people only have access to a PC, yet they need to use some Amiga software which they know will solve their problem. Or it may occur because their old Amiga suddenly broke, and it takes three weeks to repair it, assuming that the proper spare parts can be found. Amiga Forever also includes networking and other data sharing tools, for those who need to exchange and share data between an Amiga and a PC. In this context, emulation becomes one more tool for different worlds to communicate and build together, rather than be isolated by incompatibility. In the Amiga spirit, we hope that nobody will judge and decide for those who have different needs and opinions. With Amiga Forever, Amiga emulation is one product more, not one product less, for users to choose from, and for the Amiga to establish its presence in an increasingly PC-dominated world. As we know from our personal experience, Amiga users know to appreciate the value of free and independent choice more than any other group of users. On May 15, 1998, at the World of Amiga Show in London, the remaining Amiga companies officially announced that the development of future systems would diverge from the past architecture, based on the Motorola 68K CPU, which would be renamed "Classic" Amiga. On November 14, 1998, the Amiga companies introduced a new generation of "Amiga" computers and operating systems, planned for release in the year 2000. The new systems were to be based on hardware incompatible with the "Classic" Amiga. The new operating system, based on QNX, was to be incompatible at both the binary and source code level with "Classic" Amiga applications. The possibility of a presumably expensive and optional PCI board providing compatibility with certain "well-behaved" programs was mentioned. 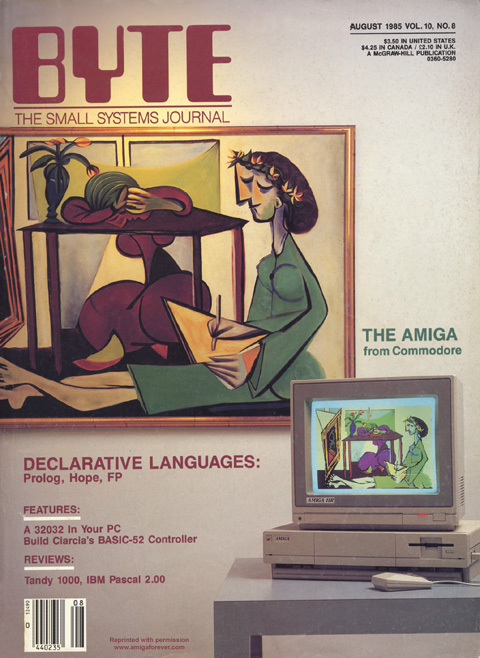 This strengthened the position of emulation, which would become the preferred way for existing "Classic" Amiga programs to run unmodified on the new system, especially if these programs rely on certain hardware components which are not manufactured any more, and which the emulation instead supports. On July 9, 1999, the Amiga companies announced a change in direction, replacing QNX with GNU/Linux (largely compatible with QNX at the application level, like all "Unixoid" systems), and releasing detailed specifications of a new-generation Amiga hardware platform with powerful multimedia capabilities. On September 17, 1999, the Amiga companies announced that projects for the development of a new Amiga computer had been abandoned. At the end of December 1999, it was announced that Amino Development Corporation, later renamed Amiga, Inc., had acquired the Commodore/Amiga intellectual property from Gateway, with the exception of the Amiga patents, which were licensed (and expired shortly thereafter). The new company then started working on new systems based on Tao Group Limited's Intent platform. In a way reminiscent of Sun's Java, Tao's Intent was a cross-platform system that enabled games and multimedia applications to run on a diversity of mobile phones and other devices. It was not related to the original Amiga operating system. Amiga, Inc. later sold its intellectual property to Cloanto and C-A Acquisition Corp.
Do you remember? We do! "Emulation Will Kill the Amiga"
This is probably the strongest statement which reflects why we felt the need to write this text. We firmly believe that emulation will not kill the Amiga, but, to the contrary, it will extend its life. With emulation, it is likely that as long as there will be computers of any kind, the Amiga, with its hundreds of thousands of programs, will continue to work. Possibly, this will mean "Amiga Forever" in the literal sense. Software emulation is roughly between 5 and 20 times slower than the hardware it emulates (emulators like the ShapeShifter 68K Mac emulator for the Amiga are an exception to this, because they do not need to emulate a CPU or custom chips). Given the constant evolution of computers, which double in power each 18-24 months, emulation is such a "handicap" that no computer would have to fear its emulated counterpart unless the system being emulated had its development stopped for at least five years. That is, a piece of hardware would have to be already "dead" for five or more years before it could be "killed" by emulation. Sadly, as Amiga Forever is released, the Amiga happens to fall in the category of those pieces of hardware which had their development discontinued for more than five years. Almost by miracle, however, the Amiga is not dead, but instead it still has many loyal supporters. We do not know why exactly nothing seems to be moving on the hardware front. We do know, however, that as soon as a new piece of Amiga hardware will be released, with up-to-date components, the entire issue of emulation possibly "killing the Amiga" will be wiped away, because of the huge "handicap" of emulation with respect to real hardware. Whatever the Amiga future will bring, we like to consider emulation as a parachute, a safety net which will support us if everything else fails. Today, many Amiga enthusiasts are using this parachute, and we think that it is a good feeling to be able to do so. Should it ever occur, in spite (or due to the lack) of new developments, that a "software Amiga", i.e. one in which the CPU and the custom chips are emulated, becomes the more powerful, more reliable and less expensive Amiga, we can see no reason to complain about the best technology "winning". Also, if a new Amiga hardware standard emerges, based on different hardware, it is very likely that emulation will be required to run existing Amiga software. There are lots of talents and creative energies in the Amiga community. We believe that Amiga creativity should be respected in all its expressions, and that users should be free to decide what is best for each of them. The smallest Amiga in the world: a "dead" Amiga, or a newborn one? Imagine this... Jay and Tom are two Amiga enthusiasts, and Jay just told Tom that he has "a portable Amiga". Of course Tom immediately wants to see it, so he runs to Jay's place. Jay has no time to explain how this notebook works, because Tom, intrigued by this small wonder, already started experimenting with the device. He types "Config" in the Shell, selects "About" in the Workbench menu, plays Marble Madness ("An Amiga notebook with stereo sound! "), runs a few other programs ("It even has the custom chips! "), opens different types of screens, drags them, checks the contents of the hard disk partitions, etc. "Where are the Amiga keys? ", asks Tom. Jay explains that this is a PC keyboard, and that the Amiga keys are mapped to the two Windows keys. Tom goes on, reboots the Amiga, selects the Amiga boot screen, and performs a number of other tests. "That's cool, I want one too! ", he concludes. At last, Jay has a chance to explain that this is a standard notebook with a 500 MHz Intel CPU running the UAE emulator. "Oh, no, that's fake, it's not real! ", replies Tom, almost angrily, and physically distancing himself from the notebook. What happened? We don't know exactly. Everything seemed to be perfect until Tom had the knowledge that he was using a software Amiga, rather than a silicon one. There is no logical explanation to this reaction, because the Amiga itself didn't change between the test and the explanation, but in practice we have seen such a change in approach several times. Certainly, it is astonishing to see the smallest Amiga ever, as a handheld device with "Toshiba Libretto" printed on the case, or to see an Alpha board running Amiga software faster than any 68060 Amiga can do. But this is all real, not fake. The Amiga notebook tested by Tom had the original Amiga ROMs and operating system, and respected the official timing specifications of the original Amiga custom chips. True, the AGA chip set is not fully supported yet, and certain copy-protected Amiga disks cannot be handled (please refer to the FAQ for more details), but this also happens with different models of "real" Amiga systems, which either have an older chip set, or a newer floppy disk drive. One difference with respect to the Amiga hardware is that there are dozens of volunteer programmers who are working on these issues, so that new features will become available with a simple software upgrade, at no cost to the user. A silicon Amiga cannot be "upgraded" so easily. The software Amiga can even be reconfigured to emulate a particular CPU rather than another one (e.g. a 68000, rather than a 68020), and it is easy to select a different operating system version, should this be required by a particular program. This makes it possible to run Amiga software which does not run on many of the newer silicon Amiga systems, for example. Is this too good to be true? Maybe for Tom it is. Is this fake? We invite you to decide for yourself. "Amiga Feeling Can't Be Emulated"
Sometimes, when Amiga emulation is mentioned for the first time, and there is no time to show it in practice, or when all other arguments fail, a thought like "Maybe you can emulate the chips, but you can't emulate the Amiga feeling" goes through the listener's mind. We have heard this sentence a few times at trade shows and user group meetings. To resolve this issue once and for all, we propose a variant of the Turing Test, to be named "The Amiga Test". The original procedure, used to test machine intelligence, was devised in 1950 by the British mathematician Alan Turing. In this test, a judge does not know if he is having an open dialog with a person or with a computer. If the judge cannot recognize when he is having a dialog with the computer, then the machine passes the test. In our variant, the judge sits in front of a computer with a standard (PC) monitor, keyboard, mouse and loudspeakers, and does not know if there is a silicon Amiga (with a PC keyboard and mouse adapter) connected to it, or a different type of more powerful hardware running an Amiga emulator. We have actually repeatedly performed the Amiga Test using 1 GHz Pentium III systems (and various other Pentium and Alpha CPUs before that) and the testers could not determine whether the Amiga was a software or hardware one. Luckily for us (yes, we are bit biased), the testers did not try out the additional keyboard shortcuts which the emulation software provides to change some Amiga settings on the fly, and they were not familiar with benchmarking tools, or they would have noticed that the CPU was a bit too fast to be real. In our experience, when you run a software Amiga in full screen on a PC you quickly forget that there is a different operating system in the background. The few times in which one may notice this are mostly "magic" moments, like when the software Amiga boots and the Amiga screen appears, virtually replacing a different OS, or when you see for the first time an Amiga running on a notebook, or when seeing an Amiga Workbench running in a window on a Unix workstation or on the Windows Desktop. As to whether this somehow reduces the "Amiga feeling", we again invite you to judge for yourself. We feel there is some magic in the achievements of emulation, and it feels very much like when we saw an Amiga for the first time. "Nobody Will Write Software for an Emulator"
While exceptions to this are already known, this statement is probably true in general. Why should somebody want to write some new software specifically for a system which is 5 to 20 times slower than a new piece of hardware? Emulation is mainly designed and used to run existing software where there are no hardware alternatives. The consideration that "nobody will write software for an emulator" implies however as a necessary premise a dramatic factor: that there is nothing left that is better than an emulator. Should this ever occur, we will be relieved to know that there is, at least, a software Amiga, and that it will be able to run our Amiga software until the end of time, because the alternative would be to have no Amiga at all. As it became clear that it was possible to create an Amiga based on software, rather than on silicon, a few programmers decided that the best thing they could do for the Amiga community was to artificially prevent their software from running in an emulation environment. In some cases, they modified their programs in such a way that they would crash the entire computer, if they were run on a software Amiga, potentially causing a loss of user data in RAM, and on hard disk (if another application happened to be writing to the disk during the crash). Frankly, this reminds us more of cyberterrorism and viruses, rather than of the generous spirit with which most Amiga software is created. It is true that some programs, for example benchmarking software, may produce unusual results on an emulated Amiga. This is because in a software Amiga it may occur that the 68K CPU is faster than that of a silicon Amiga, while at the same time the custom chips are slower than the original. This usually happens when running the emulation on not so powerful hardware. Also, a benchmarking software may classify the CPU as a 68020, but then find out that it is twice as fast as a 68060. These factors have sometimes been used as justifications to explain why some programs should not be "allowed" to run on a software (emulated) Amiga. In our opinion, this choice is best left to the user. If a benchmarking software indicates that the CPU is "too fast", then this is not a mistake, but it reflects reality, meaning that CPU-intensive applications will indeed run faster. In the case of benchmarking software, we encourage the respective developers to measure the speed of different components separately, so as to provide valuable indications of the system performance both for silicon and for software Amiga systems. It appears that a few non-factual, but rather "political", or "psychological" aspects are playing a role in the debate about Amiga emulation. Most, if not all, of those who do not like the idea of Amiga emulation, and use the word "bad" in relation to it, have not yet seen it at work, and never felt the need to use one. Many of the most active among these voices sometimes believe that emulation supporters are trying to convince people to replace their silicon Amiga with an emulated one. This is not the case. We, as emulation users and supporters, respect the fact that a majority of Amiga users currently may have no need for an emulated Amiga. And we also respect the fact that some users may not like, or may even fear, emulation. Yet we have seen "reviews" of emulation software apparently done with a "why should anyone ever need this?" approach. Can you imagine a review of a paint program, written by somebody who never felt the need to use a graphics package? We have seen users of emulated Amiga systems "flamed" in Amiga newsgroups, only because their Amiga was based on software rather than on silicon. We have even seen programmers who deliberately crash the Amiga on which their software runs, if they detect that it is an emulated one, introducing an artificial element of incompatibility in the line of Amiga systems and causing loss of user data. These are sad examples of lack of respect and understanding, in our opinion. It is even more striking that these examples come from within a community that knows more than others the value and the price of diversity and freedom. We can only try to underline once more the fact that there are people today that use and need a software Amiga, and that in the future, considering the possible evolutions of the Amiga, emulation will play an even more important role. A few users and developers see a competition between a possible "PowerPC Amiga" and the emulated one. Not only was Cloanto at the forefront of PowerPC Amiga software development, releasing the first Amiga PowerPC software (not counting development tools), but Amiga Forever includes a PowerPC Amiga version of the emulation software. We believe that 68K emulation will be increasingly needed by PowerPC Amiga hardware, and that by supporting emulation we also support a possible PowerPC Amiga, which could not succeed if it were unable to run 68K software. Once again, we would like to bring to the critics' attention the "handicap" of emulation, which makes it between 5 and 20 times slower than a hardware device. This is a good parachute, but it is definitely not a "killer". Apart from the fact that competition is generally healthy, and causes increasingly better technology to be created, we believe that, should an official PowerPC Amiga ever be released and widely supported, any native PowerPC software will not need to fear emulation, because the PowerPC is a modern CPU which competes head to head with Intel Pentium and Alpha CPUs, and as such cannot be practically emulated by these CPUs. The Amiga custom chips, and in part the 68K CPUs, are getting increasingly inefficient to manufacture and use, compared to more modern solutions. Also, they are too power consuming to be even considered for an Amiga notebook. For these reasons, it appears more and more likely that a future generation of Amiga hardware will not use some or all of the hardware components which until now made an Amiga... an Amiga. Therefore, a PowerPC Amiga, or any Amiga of the future which does not include the original Amiga chip set, or a 68K CPU, will need to rely on emulation to retain compatibility with existing Amiga software. Another factor we have noticed is a generic resistance to change, an attachment to the (Amiga) things we possess and paid for. This is of course part of our human nature, but it somehow applies to the Amiga more than to other platforms, because the Amiga, with its lack of new developments, gave us a gift that other users could only dream of: stability. For at least five years, Amiga users did not have to bother with upgrading or replacing their systems as new operating systems, bus architectures and CPUs emerged. For those who appreciate this, emulation does not break with this stability, but rather it offers the only chance for continuity in spite of a possible change of hardware. We would however also like to encourage young Amiga users, and especially developers, to keep their eyes and minds open and trained for change, because our world is a changing, rather than a static one. This is the approach which gave birth to the Amiga, and which can give birth to new dreams for future generations. The last issue we would like to comment on is the claim that Amiga emulation increases software piracy. It is our position that emulation in general does not increase piracy, and that Amiga Forever in particular reduces piracy. As a leading Amiga software developer and publisher, we are very aware of the fact that Amiga applications are available for illegal download from many locations. As soon as our commercial Amiga software is included on a pirate site, one or more of our loyal users kindly notify us and the other developers involved, explaining what is going on. As a result, we take immediate action, which usually means contacting the maintainer of the site as a first step, and the local provider or authorities as a possible second step. We know that this always works, in most cases requiring no action after our first notification. So, if it only takes an email to have the software removed from a pirate site, why are the publishers of other Amiga titles not doing anything to protect their software? Because, we believe, these publishers have abandoned the Amiga a long time ago, and have no interest in the Amiga any more. Their Amiga software is in most cases not available through legal channels any more. As we discovered when trying to get permission to include some older Amiga games on Amiga Forever, some of these companies even prefer not to be associated with the Amiga any more. The issue in this case is not that "emulator users think they are emulating a dead machine, so they do not worry about copyrights", but, to the contrary, that the emulated machine is considered dead by the software developers, and has in general been considered this way long before emulation become practical. Increased piracy, like the success of emulation, is a natural effect of the negative condition of the Amiga, and not the cause of it. If software developers cared to sell their Amiga titles, these titles would not be available for free download. Similarly, if newer Amiga hardware existed, emulation would not be practical. Emulation and piracy may be associated, but not in a causal way, unless somebody prefers a simple escape goat to the intangible complexity behind years of Amiga difficulties. As of the end of 1999, hundreds of Amiga software titles had been released by their publishers for free online distribution (see the download links on the navigation bar). This is not piracy, but giving back to the community! Cloanto's Personal Paint, ColorType, Personal Fonts Maker and The Kara Collection, among other titles, are also available for free download.